Showmaster company is specialized in production of high quality whiteboard . 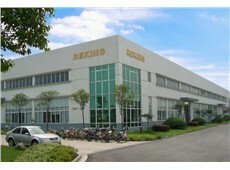 The production plant locates in the Hanjiang Industrial Park , west of Yangzhou city , Jiangsu province . Showmaster concentrated on the research of whiteboard all the time , and has already applies for a number of patents . Also it owns the intellectural property of all the products. Now , we involved in the design and production of 7 series of ShowMaster whiteboard , which contains of about 10,000 of different type . All the above independly designed by ourself , ues the brand of ShowMaster . More over , we are promoting new series in each quarter . ShowMaster has passed the management systerm of ISO9001-2008 , has certification of CE for the whiteboard . ShowMaster makes active efforts in the continuously innovation . Our whiteboard can be a ideal stage for everybody to show their glamour of thinking . And it give us endless motivation to creat more first-class products .